At Endless Oceans we offer the Assistant Instructor courses twice a year. This course is given by our Director Of Diving in conjunction with the Dive Centre Manager and is open to divers from all agencies who have a ISO24801-3 "Dive Leader" level qualification. During this 8-10 day course you will learn the SSI Teaching System and philosophy giving you the skills, knowledge, and teaching tools required to become an effective SSI Assistant Instructor. 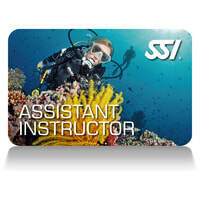 Upon completion you will be qualified to assist with Open Water Diver programs, and to independently teach a variety of SSI training programs including some specialties. 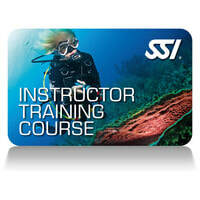 Our Dive Centre Manager also accepts one Assistant Instructor or Instructor intern per year to work with her. If accepted the intern will not only learn how to become an effective Assistant Instuctor, they will also learn the skills used in the day to day operations of a diving centre.